So what’s the best part about keeping goats? Ok, so definitely not fencing them in-or trying to milk with frozen hands in the winter. It’s CHEESE! That’s right, thick creamy, goaty CHEESE! It’s confession time: I’m a cheese addict. I like all cheese, but especially goat cheese. Two gallons a day of fresh goat milk has allowed the cheese addict in me to play with various different cheese recipes and yes, they’re all good… even when I screw them up. A cheese that has quickly become our favorite came from an ancient (we’re talking older than my grandmother) recipe. We’ve come to know it affectionately as “countertop cheese”. 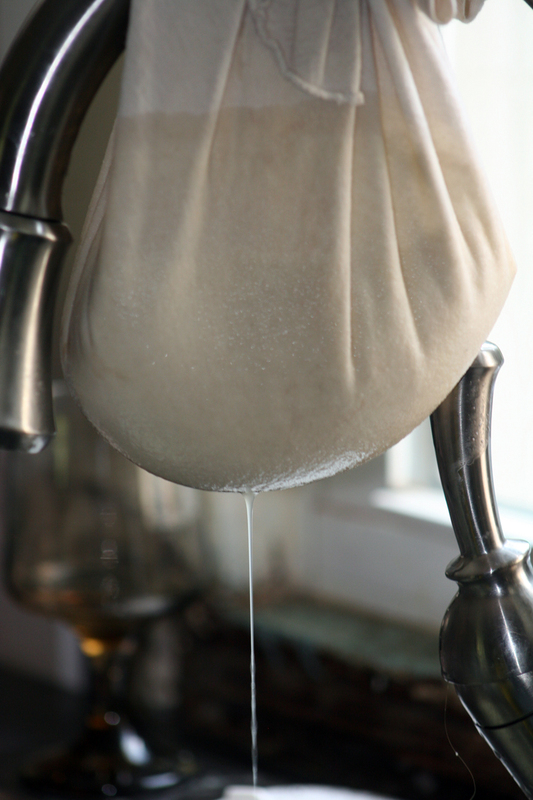 Those of you who may not be familiar with cheese making lets go over some basics. 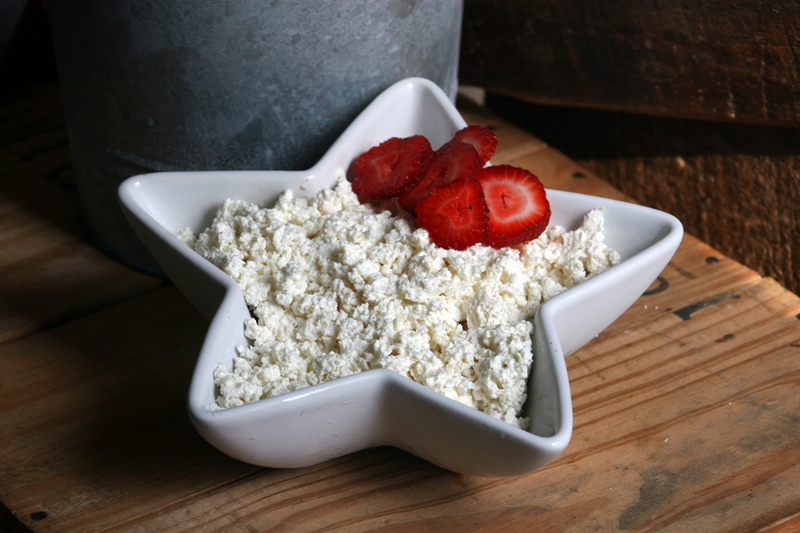 Cheese is created by adding bacterial cultures to milk and allowing them to work their magic and form a “curd”. A curd is basically a hard floating mass of inoculated milk. 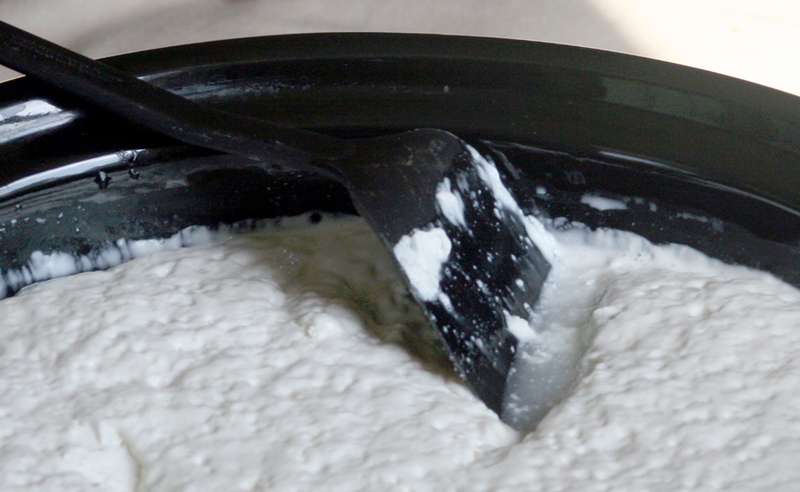 This curd floats on a clear substance called “whey”. This is basically the “water” from the milk, yes there’s more to it than just water but bear with me. After the milk forms a curd, you then cut into 1″ squares and heat the pot to the correct temperature for whatever soft cheese you are creating. This slow heating will cook more whey out of the curd. You then strain all of this through a cheesecloth and allow it to hang for about an hour to remove excess whey and VOILA! You have soft goat cheese. So now that we understand basic cheese making, let’s talk countertop cheese. Ever eaten sourdough bread? Tasty, huh? You know what makes it “sour”? They let a “starter” sit at room temp for several days. It collects various yeasts from the air and the starter takes on a fermented or “sour” taste. See where I’m going yet? That’s right you can do that with milk too. But Bethany, if you leave milk on the counter for days it stinks and turns nasty! That’s correct-if you’re using pasteurized milk. The heating of the pasteurization kills the good bacteria in the milk that naturally fight “infection” from nasty bacteria. Raw milk however, has all those “good guys” still intact. You can, in fact, leave raw milk on the counter and it will pull yeast and bacteria from the air. After a couple days you will have a curd. The amazing part? The curd smells like fresh baked bread, I kid you not! It smells amazing! I generally do this in my crockpot. I will fill it with fresh goat milk, cover it leaving the lid open so it can “breathe” but not so open that I get debris in it. After a couple days my milk has formed a curd, smells like bread, and is just a bit bubbly looking. See how it forms a floating “crust” with whey under it? 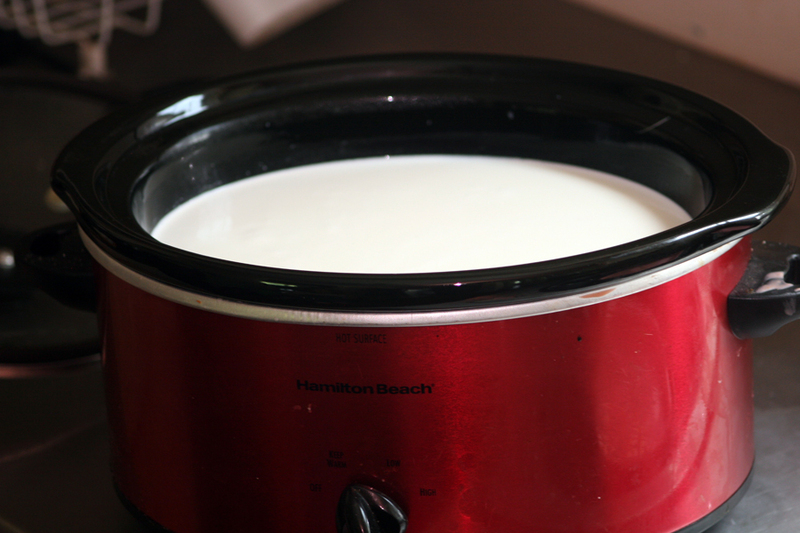 I use a knife to cut 1″ squares in the curd.Then insert a thermometer and turn the crockpot on low. 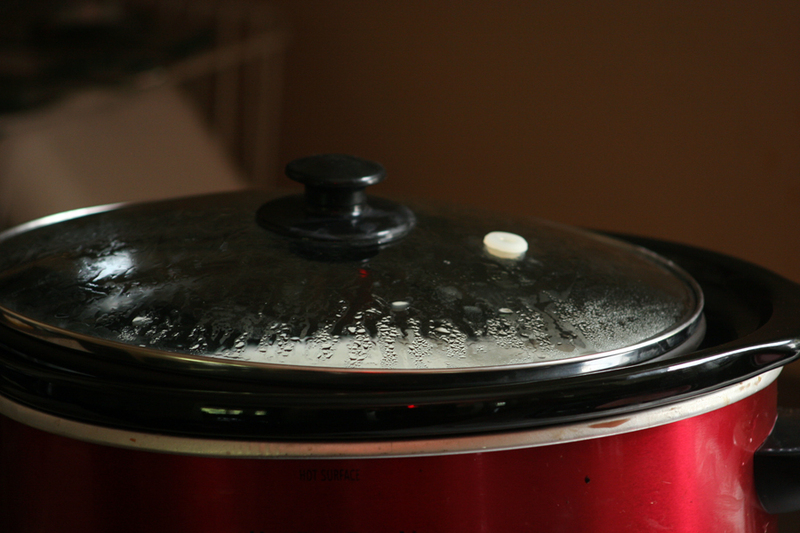 When the thermometer reaches 120 degrees I remove the pot. 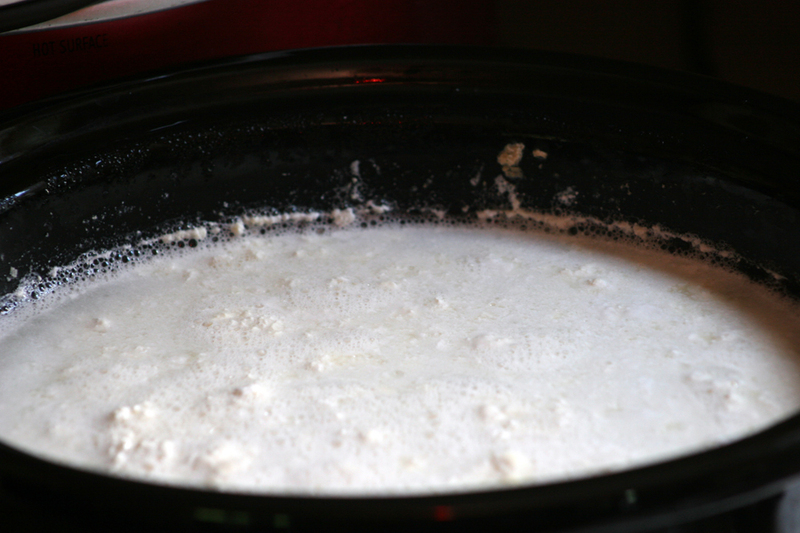 My curds are broken up and have sunk down in the whey after cooking. Now I will pour the curds and whey through a colander lined with cheesecloth. Then wrap it up to hang for an hour. This will strain the rest of the whey out of the cheese. Congratulations you’ve just made “countertop cheese!” You can now add various flavorings, salt, blueberries, granola, strawberries, garlic and chives, honey… whatever suits your fancy! Thank you for contacting Free Reign Farm. How may I assist you today? None of our operators are available at the moment. Please, leave us a message! Welcome to Free Reign Farm! If you have any questions, we would be happy to assist you.